Background: A consistently solid performer with high character, Jim Wilks was another afterthought, a 12th-round draft choice (305th overall) of the New Orleans Saints in 1981. Wilks did whatever he was asked to do, playing inside on the nose or outside at defensive end for Bum Phillips and Jim Mora and did so at a high level over an extended period of time. Wilks ranks fifth all-time in games played in franchise history with 183 and ninth all-time in sacks with 45.5. He was a reserved gentleman who simply went about his business the right way, never drawing attention to himself. Perhaps that is why he never got Pro Bowl accolades as he was overshadowed by the tremendous linebackers on the squad. Phillips captured the essence of Wilks best: "Jimmy is one of those players that could play anywhere up front; end, tackle or on the nose, play them well and you never heard a peep out of him," Phillips said. "But talk to the guys that played against him and they would tell you he was a damn good player. He made everybody around him look better and that is the greatest compliment you can give a player." Under Phillips in 1983 and 1984, Wilks started all 16 games in each season, recording eight and 7.5 sacks, respectively. He recovered seven fumbles in his career with New Orleans, the only team he played for in the NFL. Along with the likes of Frank Warren and Tony Elliot, Wilks occupied blockers in the 3-4 scheme employed by both Wade Phillips and Steve Sidwell and allowed the best linebacker corps in NFL history, the famed "Dome Patrol" of Rickey Jackson, Vaughan Johnson, Sam Mills and Pat Swilling to destroy ball carriers, pass catchers and quarterbacks. Wilks was durable, playing in all 16 games eight times in his 13 years and he played in 15 games once. 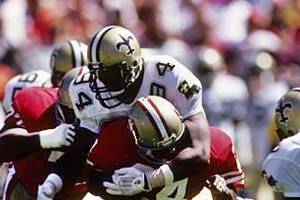 Wilks was a very important piece to the Saints' first four playoff teams in 1987, 1990, 1991 and 1992. Greatest Moment: "There were two games that stand out in my mind," Wilks said. "We had a chance to have our first winning season and first playoff appearance on Dec. 18, 1983 with the Rams in town. The crowd was great. It was so loud in the 'Dome. We outplayed them but lost on a last second field goal by Mike Lansford. I played junior college ball with Lansford and I wanted to smash him." "The other was the game at home against Tampa Bay on Dec. 6, 1977, when we clinched the first playoff berth in franchise history. The place was wild. I know it was wild and crazy when the Saints made their run to the Super Bowl but it could not have been louder than it was then. There is something special about firsts." Individually, Wilks' greatest moment was on Dec. 11, 1983, the week before the Rams game. The Saints needed to win at Philadelphia to keep their playoff hopes alive. Wilks was a one-man gang, sacking Ron Jaworski three and a half times, sharing one with his friend, Rickey Jackson. Wilks was in on seven tackles, Morten Andersen booted a 50-yard field goal in overtime and the Saints won 20-17 to get to 8-7, setting the stage for the Rams' game. Ironically, Phillips refused to let Andersen try a 49-yard field goal, indoors, against Los Angeles the following week, opting to punt with Guido Merkens with the Saints clinging to a 24-23 lead. A field goal would have forced the Rams to score a touchdown in the final minute. Instead, they simply needed a field goal to win and got it from Lansford. At Philadelphia, he had three sacks and a fumble recovery. 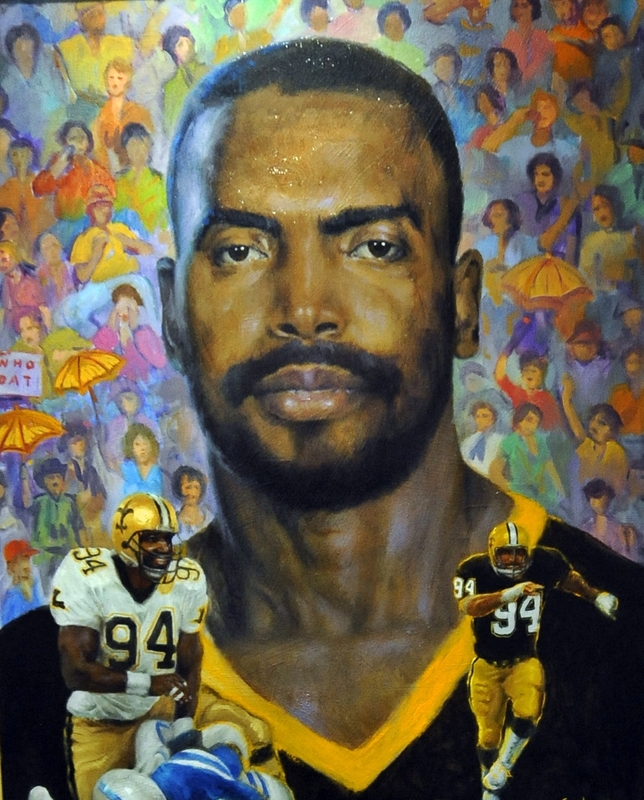 Honors: Wilks was inducted into the Saints Hall of Fame in 2001. He was also inducted into the Pasadena (California) Sports Hall of Fame.